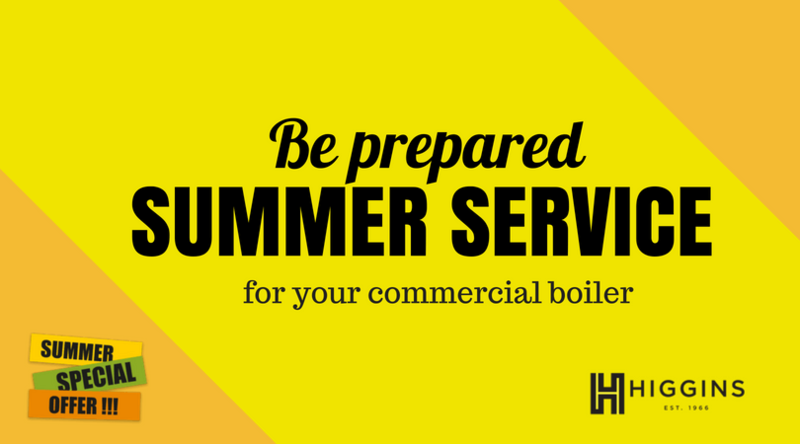 Now we’re in the middle of a heatwave, a commercial boiler service might not be at the top of your to do list. But as with so many important things, prevention is better than cure. By pre-planning your maintenance, you’ll be less likely to run into costly call-outs and the emergency issues they cover. A pre-scheduled service allows you to prevent winter breakdowns when you need your heating the most. Not only are gas engineers more readily available before crunch time hits, but you’ll experience far less disruption to the day to day running of your business. Rather than inconvenience your business by having the boiler switched off for maintenance when it’s needed most, it’s far better to have it serviced during a time when no one will notice that it’s temporarily out of action. 1.Make sure it’s both safe and legal - ensure your boiler is running smoothly, economically and safely. Whether it be Gas, LPG or Oil annual inspections serve not only to help stop costly breakdowns but more importantly that the appliances are operating safely and not leaking dangerous gases into the work environment or being a potential fire risk. 2. Validate your warranty – if a regular service part and parcel of your responsibility you’ll need an annual service. If your boiler is still protected by a manufactures warranty, then an annual service will be part of the conditions set by the manufacture to maintain the cover. Manufactures like Vaillant, Worcester Bosch, Viessman, Remeha, Grant, Ideal etc will inspect the Benchmark and service records of the appliance in the event of them being called out for a warranty repair. If the records are not in order then the manufacturer may walk away leaving you with costly repairs. 3. Protect yourself against expensive repairs in the future - leaving small issues unnoticed is likely to cause significant – and expensive – damage. A regular service will help you resolve any issues early (and save your business money in larger repair costs). 4. Save energy – small changes made during a service add to a boiler’s energy efficiency, helping both your business’s bottom line and the environment. Regularly servicing the boiler will make the system work to its best possible efficiency and in the long run save you money. 5. Promote a longer life - a regular service helps maximise your boilers life span, delaying CapEx outlay on a replacement for as long as possible. *20% offer: Applies to new customers only and is valid for all commercial boiler services booked and taken by 31.08.18.